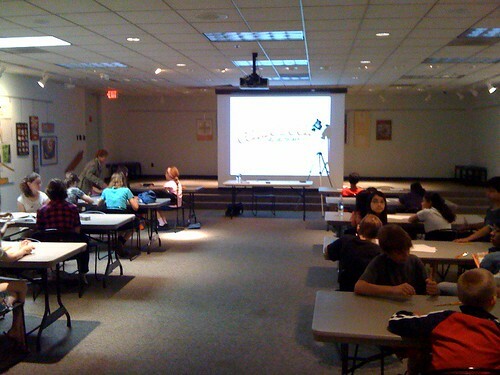 Today I led the first session of the 2009 edition of the Comic Book Academy at the Ann Arbor District Library. It was a very high-energy group there, and I had a blast working with some amazingly creative kids. I'm still impressed by how many girls continue to come to these workshops. Such a difference in comics demographics compared to 20 years ago! And judging from the range of stories these kids are working on (pure dragon fantasy to high school drama to life on the farm), we've never had better proof that comics truly are for everyone. Looking forward to next week's class!